In addition to this, the Chipboard core means the product is easily machinable and light in weight. 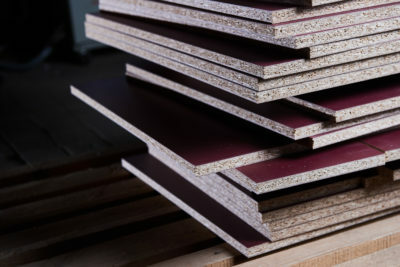 Hanson Plywood have Melamine Faced Chipboard in the sizes and finishes below in stock, but can source almost any desired finish from our network of specialist suppliers. Please enquire with our sales team for more information. Hanson Plywood sources its collection of Melamine Faced Chipboard Panels from FSC® & PEFC™ Certified forest concessions. The company’s robust Chain of Custody management system ensures that these certifications are respected and adhered to throughout the supply chain. For further information, please refer to our Environment Page.